When visiting Athens it’s nice to be able to take the time and discover every corner of this amazing city. A relaxing stay in the LifeGallery Hotel is a unique opportunity to explore the picturesque and bustling northern suburbs as well as being close to the city centre. Find out more in Life Gallery’s top tips for the best to see and do over three fun days in Athens. Waking up in one of Life Gallery’s beautiful rooms is a joyful experience. It’s as if the high quality amenities are tailored to your personal taste and offer a refreshing start to the day. Kick off your morning with a mouthwatering breakfast at our hotel restaurant and get ready to hit the shops nearby! The Mall Athens and Golden Hall are a stone’s throw away and offer everything you need for shopping and entertainment. You can spend all day there, trust us! After a tiring day out maxing out your credit card, relax with a drink in the chilled-out surrounds of the Koolife Bar. It's time for some city sightseeing, don't you think? Get an early start and visit the center of Athens. Take a walking tour of some of the oldest neighbourhoods in Athens including Monastiraki, Plaka and Syntagma. Grab some souvenirs or some famous Greek style pastries. Thisseion is the ideal place to stop for a coffee with a fantastic view of the Acropolis all day long. By evening, the newly built Acropolis Museum is well worth a visit. Our top tip is to dine in the restaurant on the terrace; it’s a special experience to dine with an Acropolis view and is a moment you’re likely never to forget. In the summer, we recommend simply relaxing at our swimming pool. If you prefer beaches, Nea Makri nearby is the ideal choice. In the evening treat yourself at Ananea Spa. After a busy couple of days exploring Athens, it’s perfect for a little indulgence! In the evening, Koolife Restaurant’s star chef Dimitris Lazarou offers a modern take on traditional Greek dishes. 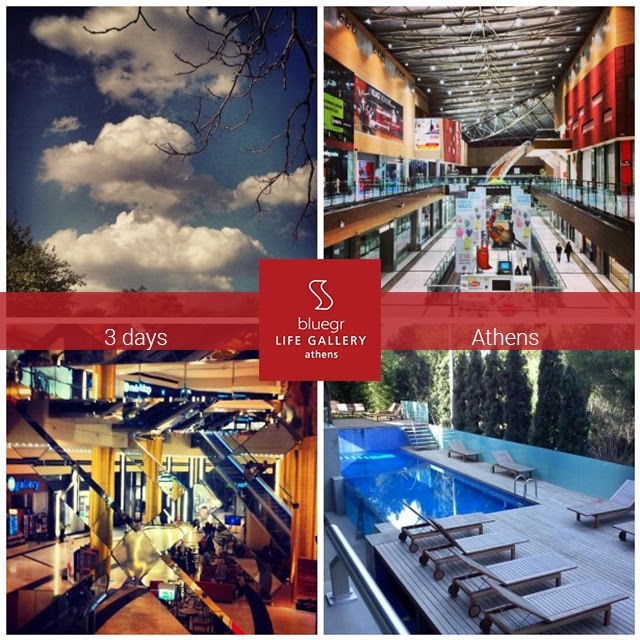 Enjoy Athens, enjoy the best of this city tour with Life Gallery Athens!